Santa Maria in Vallicelli is in the Piazza della Chiesa Nuova on the Corso Vittorio Emanuele II and is simply known as Chiesa Nuova. 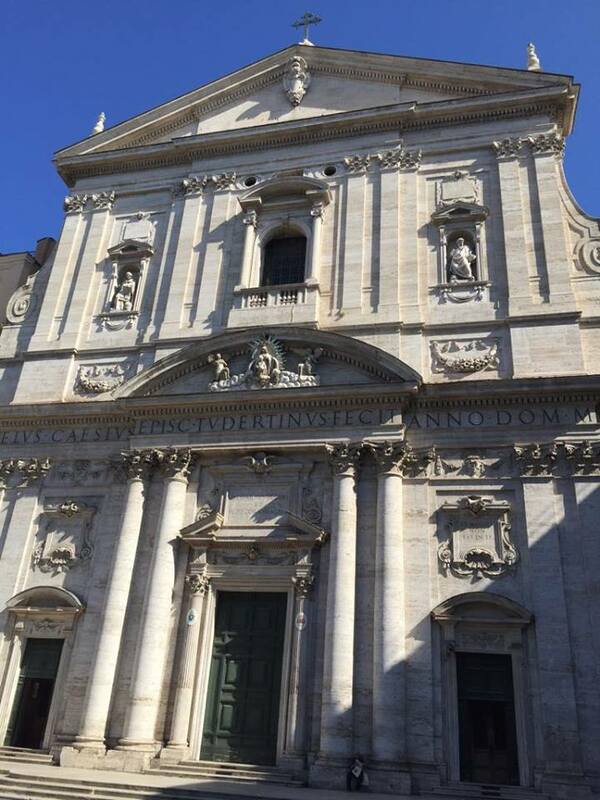 This beautiful Baroque church was completed in 1599 and modeled on the nearby church of il Gesù. 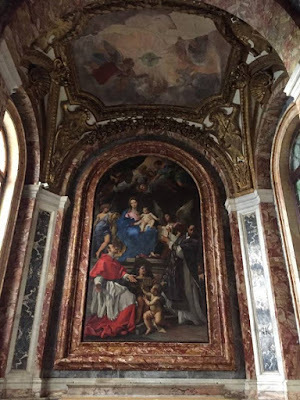 The church was intended to be simplistic inside and designed with white-washed walls and minimal decorations depicting the Virgin Mary as an example of the Counter-Reformation, but in 1606 Rubens was commissioned to paint three pictures for the sanctuary and patrons then filled the church chapels with artworks by Giovanni Lanfranco, Girolamo Muziano, Cerrini, Federico Barocci, Cavaliere d'Arpino, Lazzaro Baldi, Giuseppe Ghezzi, Daniele Seiter, Guido Reni, Carlo Maratta, Peter Paul Rubens and Francesco Trevisani. 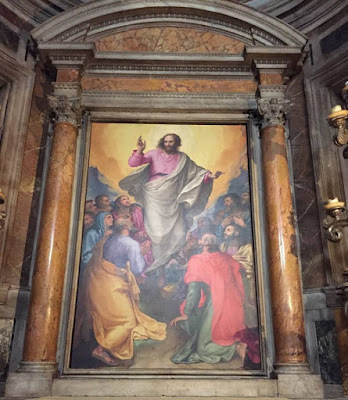 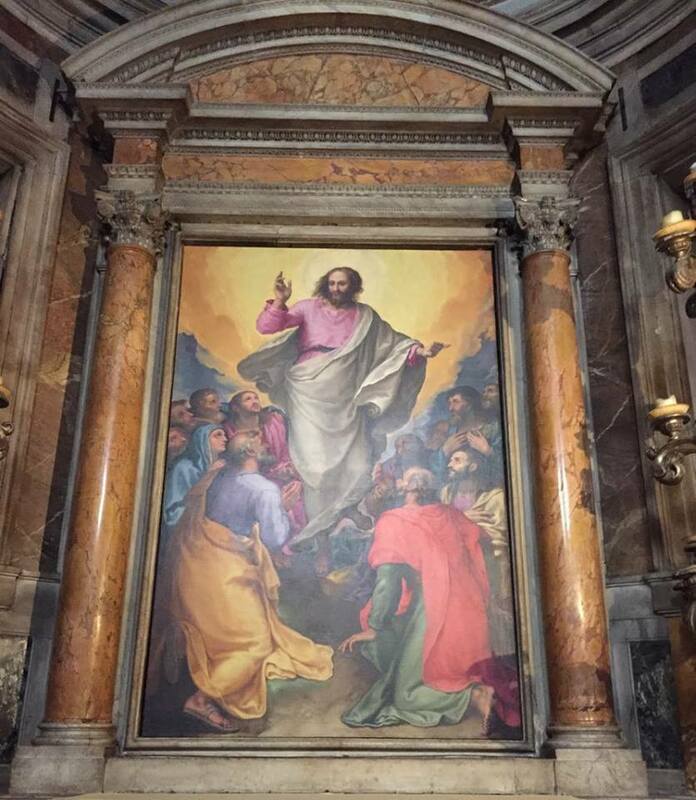 In 1664 Pietro da Cortona decorated the entire ceiling of the church, painting the nave ceiling, the Triumph of the Trinity in the dome, the pendentives with Isiah, Jeremiah, Daniel and Ezechiel and the apse fresco in the main altar. 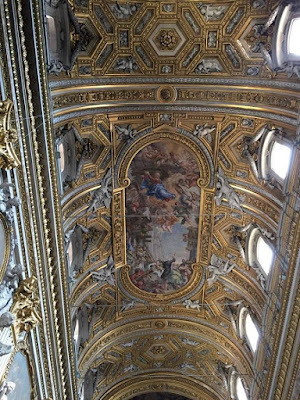 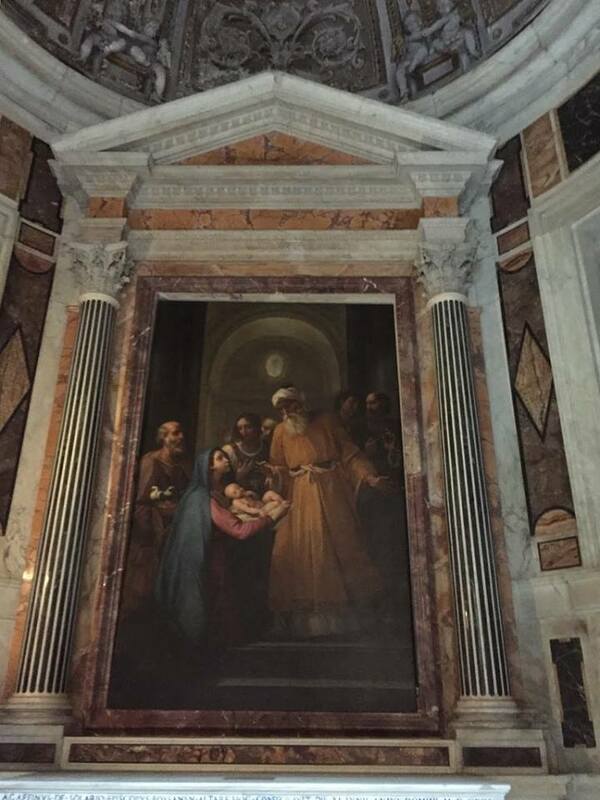 A passageway left of the main altar takes you through to the sacristy where Pietro da Cortona also painted the ceiling. 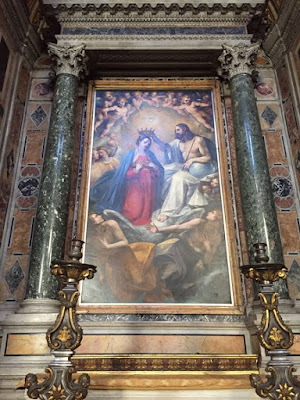 The Madonna with Angels at the high altar is by Peter Paul Rubens and surrounds a 13th century icon of Our Lady of Vallicella. The paintings on the left and right are also by Rubens. 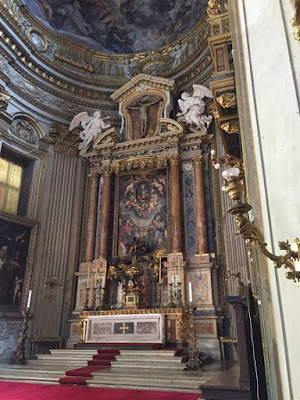 On the left of the main altar is the Cappella di San Fillipo Neri. 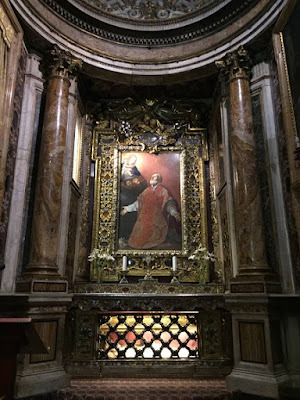 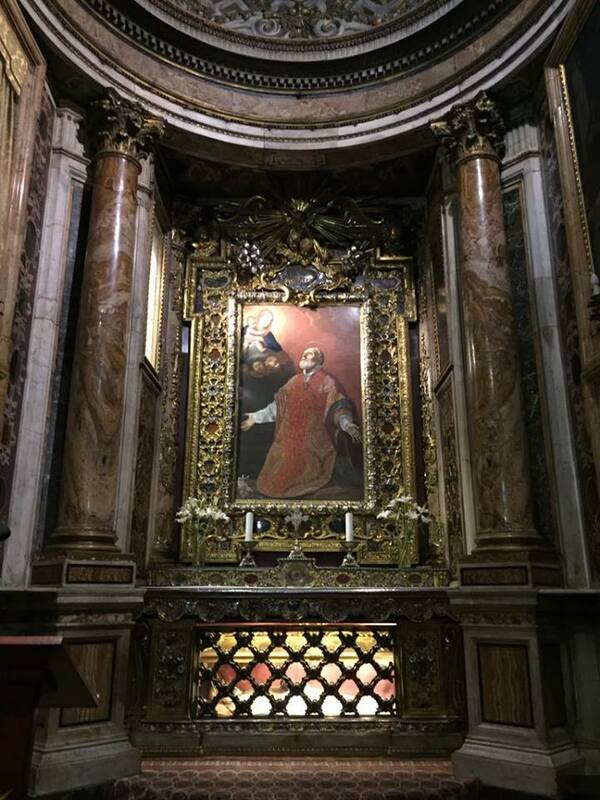 Fillipo Neri was an important figure in the Counter-Reformation and in an urn in this chapel are his relics. 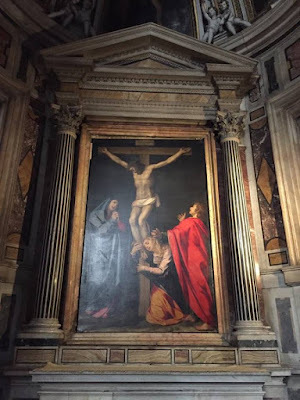 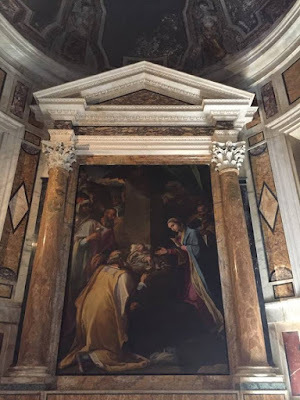 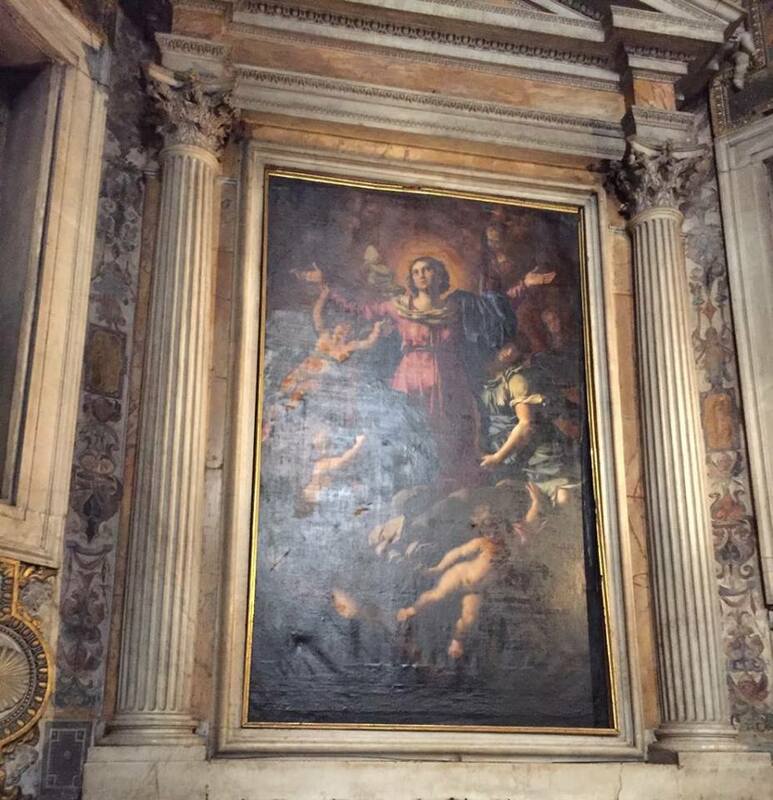 The above altarpiece of the saint is by Guido Reni. 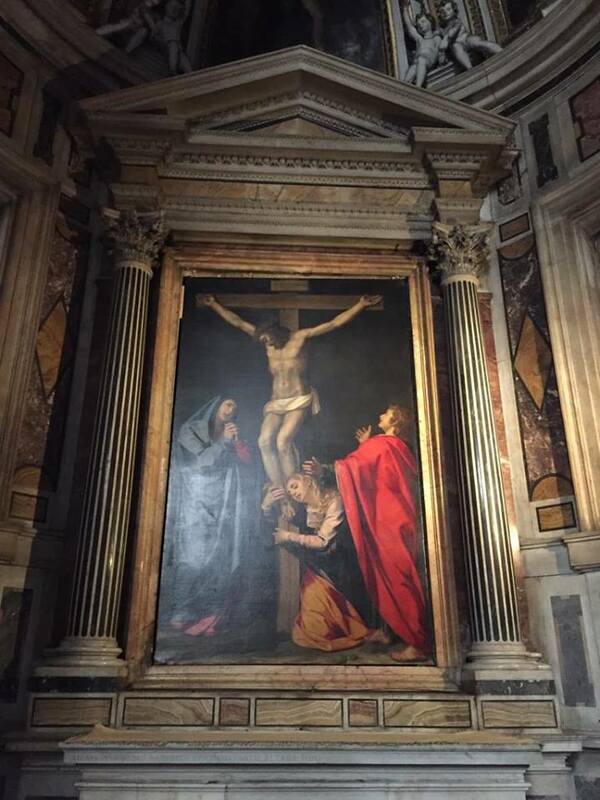 In the second chapel on the right is a copy of Caravaggio's Deposition. 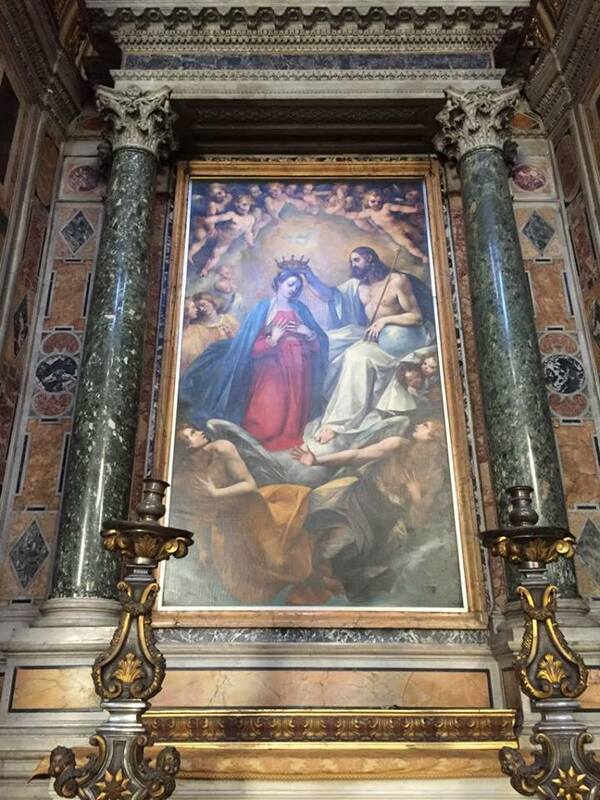 The original was removed by the French in 1797. When it was finally returned to Rome it was taken to the Vatican Museum where it hangs in the Pinacoteca Vaticana.